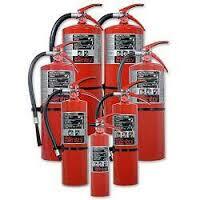 Firehawk Fire & Safety is a 25-year premier service provider of fire protection services throughout California. As the premier fire protection service provider, our staff and technicians are dedicated to high-quality customer service and delivering an uncompromised high quality standard of work exceeding all federal, state and local authorities applicable fire & life safety standards and fire codes. Firehawk Fire & Safety is a certified small business incorporated in 1991. As a 3rd generation family owned and operated provider of fire protection services, Firehawk has all combined over a 125 years of experience and dedication in the fire protection industry. We are very proud of our service reputation of integrity, quality, expertise and exceptional service handed down through generations of family excellence in delivering quality fire protection service that our clients deserve. We are your “One-stop Safety-shop” for any and all portable fire extinguisher, automatic fire sprinkler, fire suppression, fire demonstration classes and first aid solutions. Our certified and professional technicians licensed from the office of the California State Fire Marshal have the authority to inspect, repair, maintain and certify that your business is compliant with all local, state, and national fire and safety laws. 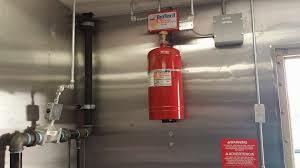 Firehawk’s main focus is inspecting, servicing, repairing and certifying that fire protection equipment meets the minimum fire and life safety codes for any size of residential, industrial and commercial building or businesses. A certified and trusted provider to the United States Government, Department of Defense, County of San Diego, School Districts, Universities, local municipalities and thousands of private businesses large and small. 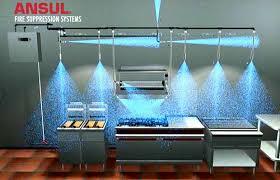 Firehawk Fire and Safety is strongly focused on the satisfaction of its customers. Our high quality work is anchored by our ethical principles. We listen to your needs, keep up with market trends and provide the highest performing equipment at very competitive rates. Our commitment is to value your money and your time by maximizing your safety dollars spent on dependable equipment made by top manufacturers in the industry. For further information, you are free to contact us at 1-800-FIREHAWK. Talk to us today!